Very close to the City Centre. Beds are clean. Kitchen got all the things you need. Toilets are clean. Location and price made it completely worth it. Very clean and nice facility. Felt very cozy and safe. Make sure to read their emails to ensure you have the code to get into the building. There were only a few people there (when I went in the winter) so that was also a plus. 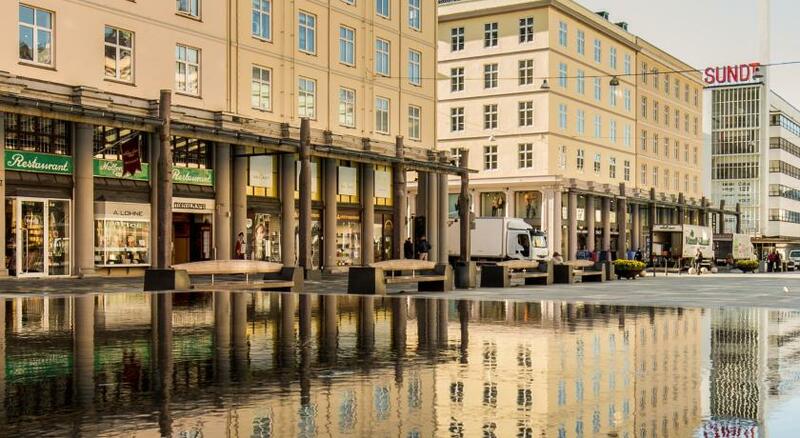 Good position, right in the city center. Can't say more because I've spent just few hours there in the morning and I moved away straight after, not even spent the night there. I stayed here just for the night and I thoroughly thought the hostel was worth the money I paid. The beds had clean sheets. The bathroom was spotless and also spacious. You just have to simply follow their instructions after booking and it will be all easy as a walk in the park then! 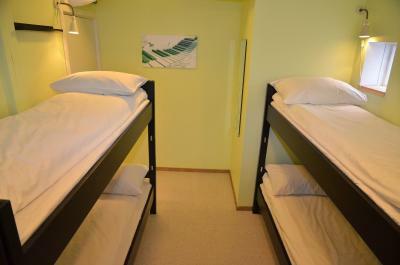 The hostel is strategically located in a good location. The price of a living in a hostel corresponds to reality. The best tourists ever I met there. Very friendly guests is theain reason why you should choose this one hostel. 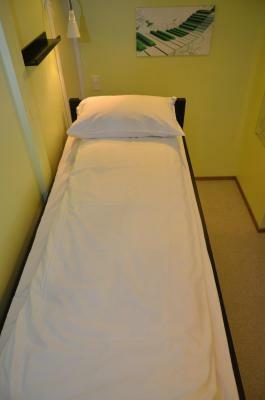 The beds were quite comfortable and the location was very convenient for seeing Bergen. A good bed. No staff. Interesting concept and it worked out well. Beds were among the more comfortable hostel beds i have slept in. All in all you get what you pay for without any hussle and it delivers exactly as promised. The location is great and the hostel deserves an extra point for that alone. I personally liked the self check-in and self sufficiency. Good location. It was so close from train station, just walk for 10-20 mins to get to city centre and fish market. Kitchen was pretty good, clean, and equipped. One of our best sellers in Bergen! 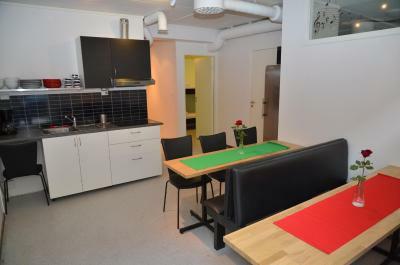 Set just 3 minutes’ walk from Bergen Train Station, this self-service hostel offers guest rooms with free WiFi and access to communal kitchen facilities. Bryggen Wharf is 1,650 feet away. 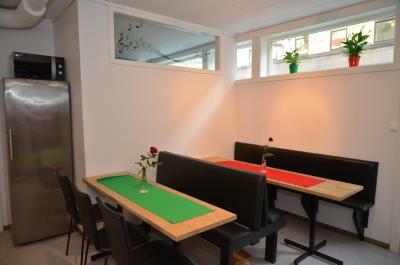 All guest rooms at Bergen Budget Hostel have a seating area. Bathrooms are shared or private. Bed linen is included. 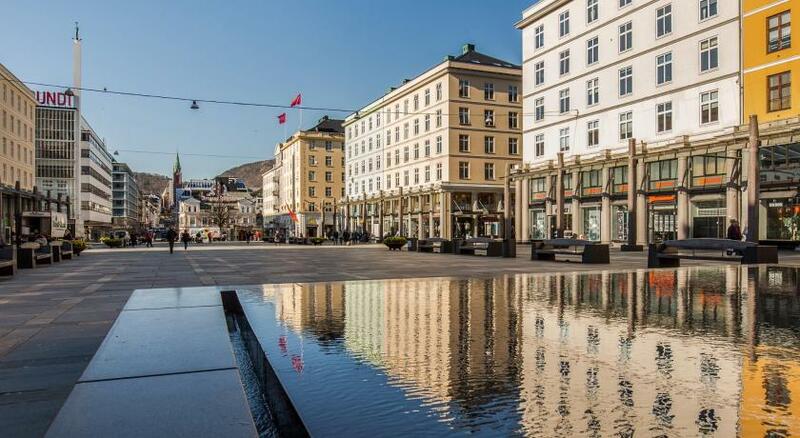 Torgallmenningen Square is a 6-minute walk away. The Fløibanen funicular is 1,800 feet from the hostel. 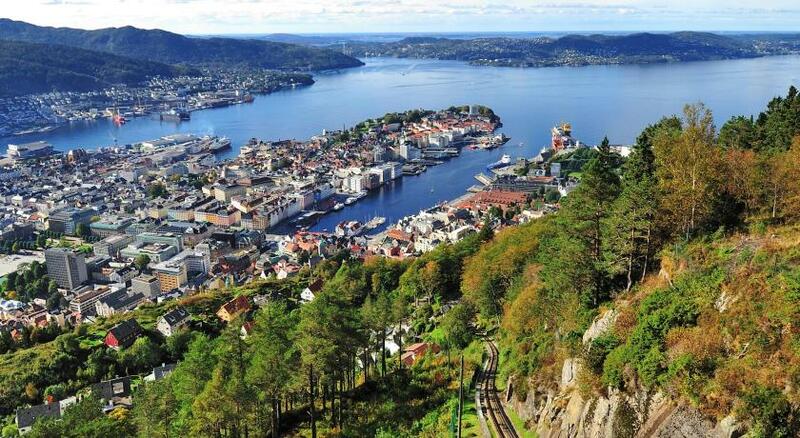 뀐 Located in the real heart of Bergen, this property has an excellent location score of 9.0! 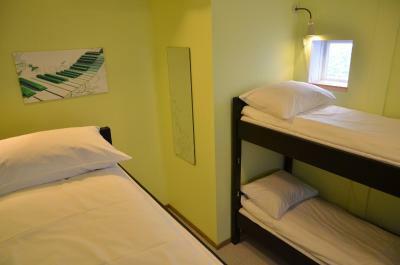 When would you like to stay at Bergen Budget Hostel? 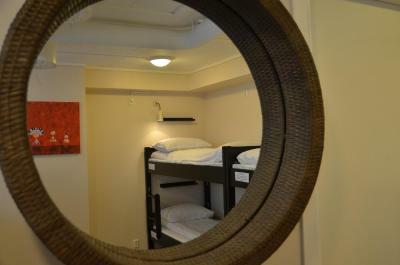 The bed is located in either an 8-bed or 12-bed dormitory room. 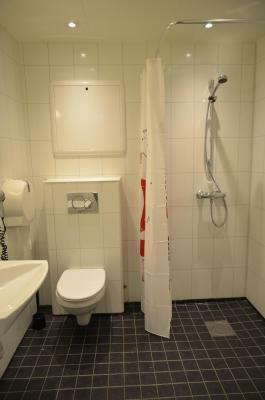 Rooms share 2 bathrooms with showers, as well as a kitchen. 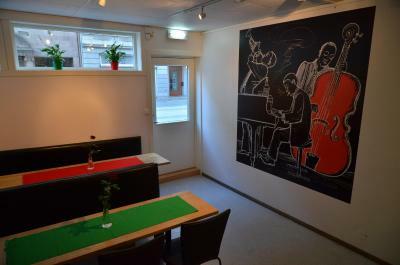 House Rules Bergen Budget Hostel takes special requests – add in the next step! Bergen Budget Hostel accepts these cards and reserves the right to temporarily hold an amount prior to arrival. Please note that Bergen Budget Hostel has no reception desk. On arrival day, you will receive check-in instructions from the property via email. For bookings with arrival on the same day, the guest must contact the property directly after booking to receive the door code. Contact the property directly with the contact details provided in your confirmation. 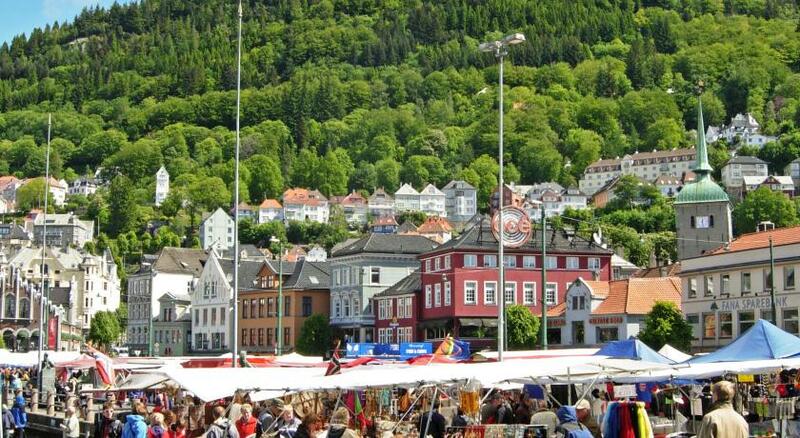 Please inform Bergen Budget Hostel of your expected arrival time in advance. You can use the Special Requests box when booking, or contact the property directly using the contact details in your confirmation. How to get to Bergen Budget Hostel from "Bergen Airport, Flesland"
There is no space to put your stuff which is not really practic. The ambiance was great a bit like a flatmate because it is very small. I really enjoy my stay. It is in a nice street in the center in a perfect place. I dont like, that the other travelers dont accept the "night hours" between 22-07. I like people, but this is really not nice, making such noise in the time, that is supposed to be quiet. The place was easy to find. I really like, that I have become instructions time enough before my arrival. 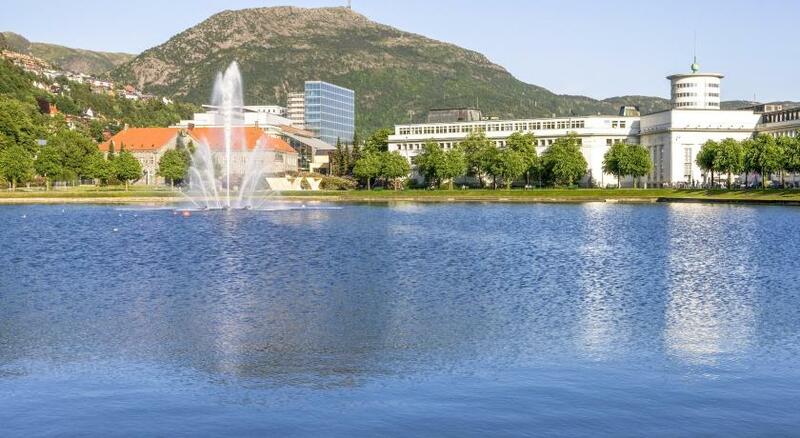 That is cool :-) The place was just few minutes from the center of Bergen - that is great!! You get what you see and expect for the money. Near the unesco site. It was a good stayed for a short stopover at Bergen. There’s a kitchen, dinning area where travellers can mingle around. I found electric cable, swimming in the water after my shower in one of the showers. So its a bit annoying, how they didn't notice that, micro crack in cable, could cause death. Some of the lockers are not working, it just eat my money but cannot lock at all. Very small concern - but a bar attached to the wall for toilet paper would have been nice! Wasn’t a concern for my stay since the rooms were only about half capacity, but only having two bathrooms for up to 25 guests seems like it could cause problems. Met several interesting people from all over the world, and felt very safe/comfortable over these two nights. Bed, bathrooms, etc seemed clean and other guests were respectful. Surprised by the full kitchen amenities - though I generally ate away from the hostel, others cooked full meals each night. Smelly sleeping space No space even to move around in bedroom. There is no staff, so if you need something, you need to email/text them before you get there. One of the sinks was clogged. Lockers were small and needed coins, and there were no other places to store luggage. The beds were very uncomfortable. First night I slept in the top bed of the bunk bed and it was very noisy. Second night I slept in another bed and some bars were missing which makes you felt them. The location is very good, 10 minutes walk to the port. It was all great- no complaints. Clean, comfortable and a fab location! 🙂 Liked that it was a small hostel, gave it a homely feel.